Arthritis Research UK published a Public Health Report on Musculoskeletal Health in 2013. It stated that 20% of the general population sees a GP about a musculoskeletal problem, and that majority of these consultations are due to back pain and osteoarthritis . The NHS in England spends a further £5 billion per year on treating musculoskeletal conditions, and each year in the UK around 7.5 million working days are lost because of musculoskeletal conditions, second only to mental health problems. The report emphasized that at the core of a public health approach to musculoskeletal health is physical activity at all stages of life. A plethora of evidence and numerous reports are reflected in the WHO Global Recommendations for Physical Activity and Health, which supports this for virtually all aspects of health and well-being. Several factors combine to produce musculoskeletal health. The Arthritis and Rheumatism Council state that “the joints and spine need to be both stable and supple to support the body and carry out a wide range of movements". Muscles need to be strong enough to provide the power to move. Bones need to be sturdy enough to withstand the normal knocks of everyday living without breaking. A healthy nervous system is needed to oversee all this activity, providing co-ordination and balance. Good mental health is required to provide energy and motivation to be physically active. Many people develop joint and soft tissues disorders ranging from minor injuries to long-term conditions. 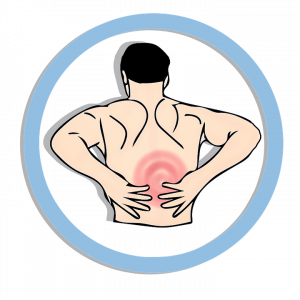 Two long-term conditions that are well documented include osteoarthritis and back pain. Key risk factors for this group include obesity, physical inactivity and injury. Evidence-based guidelines such as the UK NICE Guidelines promote conservative management with advice, medication and activity / exercise (NICE 2014, 2016). Rarely, surgery may be indicated. Osteoporosis is described by the World Health Organization (WHO) as a “progressive systemic skeletal disease characterized by low bone mass and microarchitectural deterioration of bone tissue, with a consequent increase in bone fragility and susceptibility to fracture”. Worldwide, 1 in 3 women over age 50 will experience osteoporotic fractures, as will 1 in 5 men aged over 50. Falls are identified as a risk factor and reported to be a “growing public health issue”. They are more likely in those with poor musculoskeletal health, with weak muscles, stiff joints and reduced co-ordination(ARC 2013). Evidence-based Guidelines such as the 2017 National Osteoporosis Guideline Group. “Clinical Guideline for the prevention and treatment of Osteoporosis” advocate lifestyle measures to improve bone health, which include increasing the level of physical activity. Regular tailored weight bearing exercise help increase bone mass density, and muscle strengthening with balance exercise interventions may reduce falls by improving confidence and co-ordination, and maintaining bone mass. The International Osteoporosis Foundation also advocate exercise from the time of adolescence as important(IOF 2015 ). Arthritis Research UK describe “The Inflammatory Arthritis Pathway”. It classifies inflammatory arthritis or autoimmune diseases as a group of conditions including rheumatoid arthritis, ankylosing spondylitis and psoriatic arthritis. The immune system attacks and destroys the joints and sometimes the internal organs. These relatively uncommon conditions affect less than one per cent of the population. Evidence based guidelines such as the UK NICE Clinical Guideline for Rheumatoid Arthritis advocate specialist multidisciplinary input including pharmacological management. It also states that “people with RA should have access to specialist physiotherapy, with periodic review to improve general fitness and encourage regular exercise, and learn exercises for enhancing joint flexibility, muscle strength and managing other functional impairments”. Musculoskeletal conditions cause pain and disability, and also affect physical and mental health. Studies indicate that patients with osteoarthritis showed a high frequency of co-morbities such as hypertension, depression, metabolic syndrome and its components in isolation, though cause and effect or general effects of age of these co-mordities were not evaluated. Hip fractures cause the most morbidity with reported mortality rates up to 20-24% in the first year after a hip fracture and greater risk of dying may persist for at least 5 years afterwards. Loss of function and independence among survivors is profound, with 40% unable to walk independently. Depression is four times commoner for those people in persistent pain than in those without such pain. Two-thirds of people with osteoarthritis report symptoms of depression when their pain is at its worst. One in six people with rheumatoid arthritis has major depression. ↑ 3.0 3.1 3.2 3.3 3.4 3.5 3.6 Arthritis Research UK: Policy and Public Health document. ↑ Kanis JA, Melton 3rd LJ, Christiansen C, Johnston CC, Khaltaev N. The diagnosis of osteoporosis. J Bone Miner Res 1994; 9: 1137–41.